KYADDONDO. Who will win Kyaddondo East by-election? The moment of reckoning is here. Today Thursday June 29 will be a defining moment for Kyaddondo East constituency electorate when some 72 818 voters are expected to turn up around 93 polling stations to decide who will represent them in Parliament for the next four years. The by-election was set rolling when court threw out Forum for Democratic Change (FDC) MP Apollo Kantinti after EC failed to complied with electoral rules. 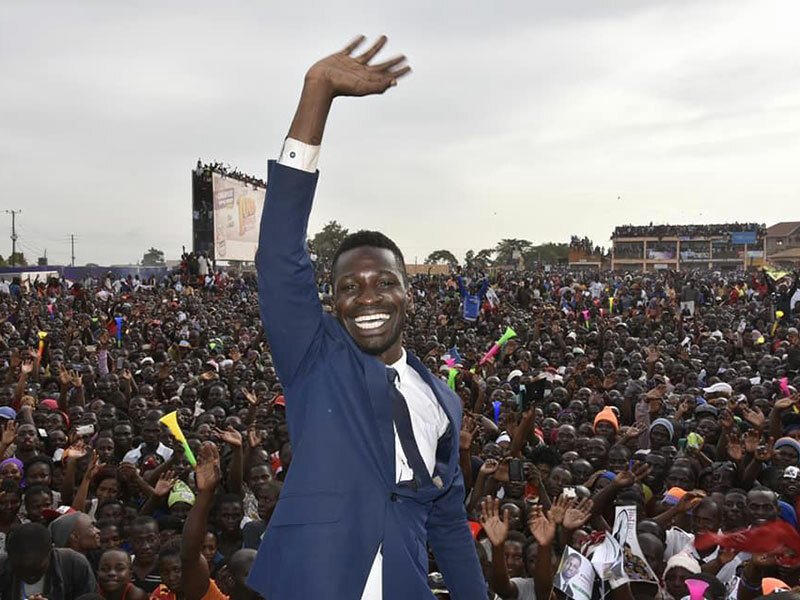 However, as the constituency readied for another battle between the NRM’s Sitenda Sebalu and FDC’s Kantinti, few saw an emerging force in the mold of Robert Ssentamu Kyagulanyi, aka Bobi Wine. The artiste, already enjoying celebrity status, has turned the by-election into one of the most talked about event in the country this year. And Thursday, there will be a lot at stake. There will be a judgement for Bobi Wine, who, despite enjoying a large following throughout the month-long campaigns, has to hold his breath. Bobi and wife Barbie will probably be ensconced on a couch cuddling as they fight their most adrenaline-supping moment in life. Kantinti will be praying that the gods that stood by him 16 months ago are still looking over his fate, while Sebalu will pray that Bobi Wine has divided only opposition votes without prying into NRM’s bread basket. Sixteen months is such a short time for the earth to turn full circle. And for the people of Kyaddondo and the peri-urban watching, this by-election has moved President Museveni from one thing he ran away from to fighting for it. Last year, the President is alleged to have frustrated voting in Kampala and other major opposition city strongholds by opening polling stations after midday and later refusing to declare their results. 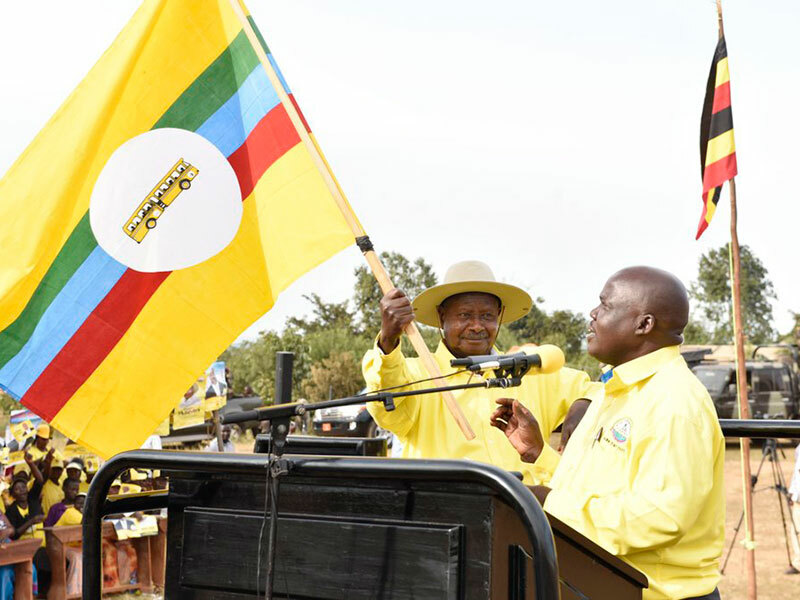 But this week, Museveni returned to Kyaddondo — his second time in the by-election — to canvass votes for Sebalu as he desperately tries to wrestle a major city constituency from the opposition. PML Daily put together three brains in a locker room to give their verdicts on the poll outcome focusing on the three main contenders. Robert Ssentamu Kyagulanyi, popularly known by his stage name Bobi Wine, is more of a brand to the people. He is the voice of the downtrodden and the beacon of hope for the many youths who, like myself, will be casting their votes in Kyaddondo East on Thursday. 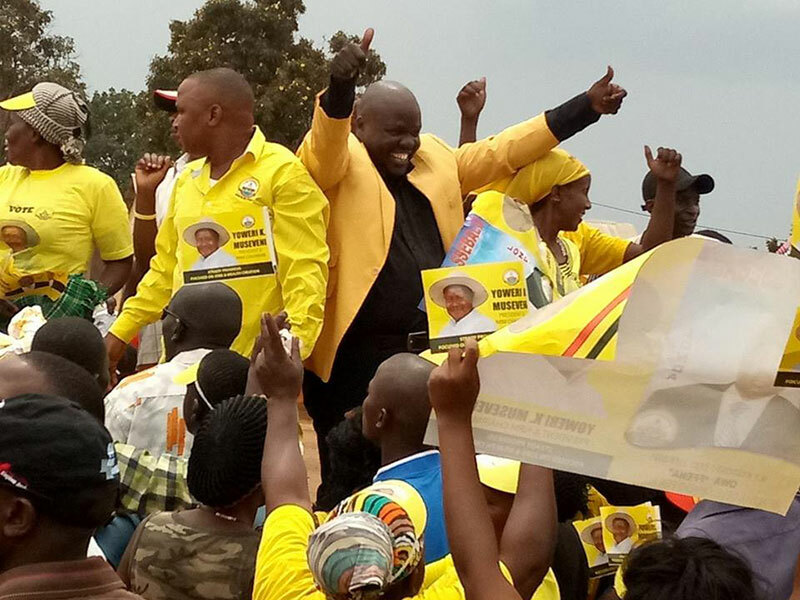 While the popular musician is facing the challenge of established party candidates; current Member of Parliament Apollo Kantinti of the Forum for Democratic Change, the ruling NRM’s Sitenda Sebalu, and some insignificant others, the 35-year-old, who is in his first major political campaign, has emerged the clear frontrunner in the by-election, which would normally have been a contest between the FDC and NRM. Bobi Wine, too, has changed the dynamics, appealing to voters across all parties and age groups. But what makes Bobi Wine tick? The youthful musician is not a stranger to politics. In the build up to the hotly contested 2016 presidential elections, he was the only musician to stand out from the crowd, shunning an invitation by the ruling NRM to popularise the party candidate, then incumbent President Yoweri Museveni. This stance endeared Bobi Wine to many not only in Kampala but around the country. He had emerged as not only a celebrated musician but also someone who can champion a legitimate cause by the people. In the aftermath of the contested results of the elections, Bobi Wine would time and again visit FDC candidate, Dr Kizza Besiege, who insists he won the elections, at his home in Kasangati where he had been confined under house arrest by the state. To opposition supporters in the constituency—where Besiege won by landslide, picking 22,550 votes of the 37,314 of the total votes cast in the 2016 elections, to Museveni’s 12,113—Bobi Wine was one of a kind. On the other hand, the FDC’s Kantinti, who would ordinarily be taking advantage of the party and Dr Besigye’s popularity in the constituency, narrowly won the seat, beating Sebalu by 326 votes after polling 9,005 votes to Sebalu’s 8,679. Sebalu had even lost the previous 2011 election to FDC’s Ibrahim Ssemujju Nganda (35,383 votes to the NRM man’s 20,508). So, for me, this is the bigger picture. Bobi Wine brings new dynamics into the race, and Kantinti has less traction to win back the constituency from a determined NRM party, seeking to gain some leverage in Wakiso, whose voting pattern was obviously hostile to the ruling party. 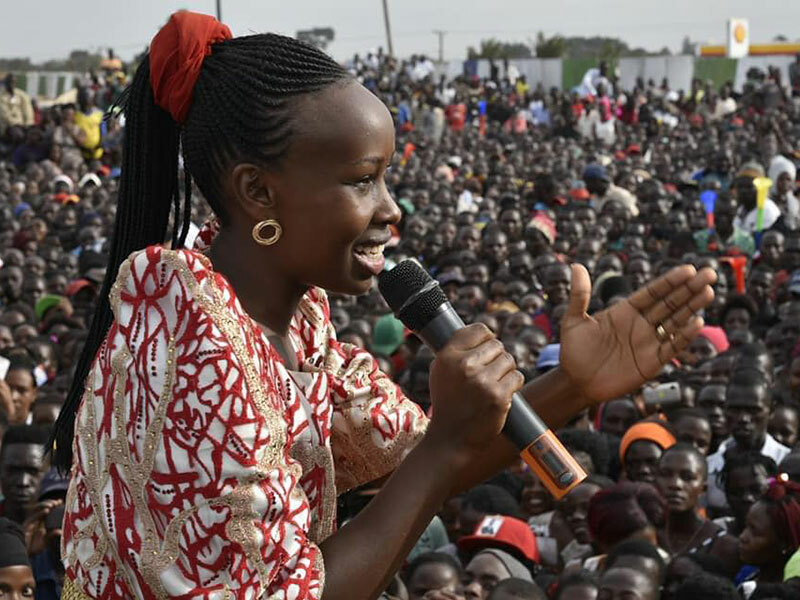 And the party, apart from having a weak candidate, has barely had any time to address the issues, mainly to do with poor public service delivery that the empowered voters in a constituency like Kyaddondo East had picked out. So, not even the power of incumbency gives them any advantage here. The other small things would be to test the suitability of Bobi Wine for an MP. Well, he has all the basics, a good education and he has always been brilliant. Following his campaign, I think he has been able to clearly put his message and explain himself to voters across all segments. Full marks here for the youthful musician. Barbie campaigns for Bobi Wine. Why will Bobi Wine “eat” this? Kyaddondo is for all intents and purposes an opposition stronghold. The opposition voters are likely not to trust the opposition candidate and will go with Bobi Wine. Not only will the musician be voted by the opposition supporters (who are enough to win it), he will also be voted by NRM supporters. 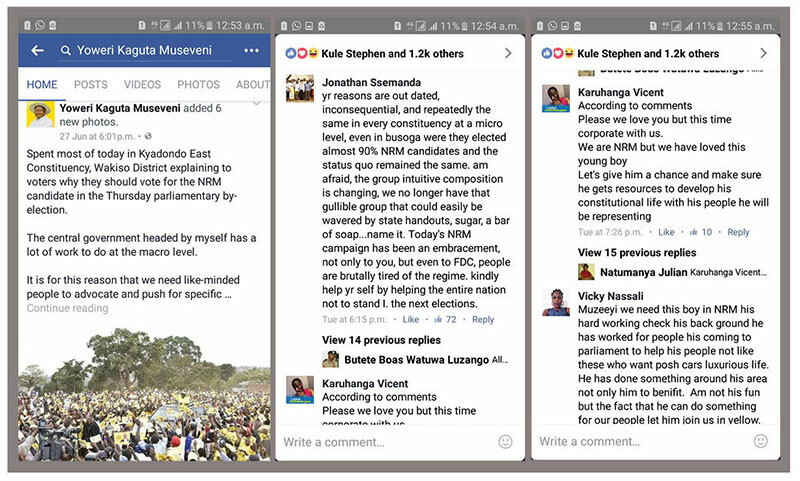 Ask Gertrude Njuba and you will get the answer, or a better answer would be a post by President Museveni on his Facebook wall, in which he called on voters to pick the party candidate Sebalu. Many NRM supporters responding directly indicating they would vote for “new blood” in Bobi Wine. A shift in voter numbers by 10,000 would ideally work in Sebalu’s favour, but it could also be Bobi’s power to attract serious youth voters. So in the end, Bobi pulls all the stops. I see Bobi Wine take this with a landslide of 65-70 percent. He really looks unstoppable and his campaign has been the most energetic. However, the musician will have to learn on the job, and put up an Election Day structure that eliminates disadvantages that come from vote tampering and underhand tactics. Vote rigging in Uganda has been a known fact since time immemorial. Not even the 1996 elections that looked straightforward went without undertones of employment of underhand methods. I am not very privy to the musician’s campaign inner circle, but I would guess they will be ready for a long winding election day. I hope he understands a thing or two on how to appoint a team of consistent and emancipated agents. Sebalu enjoys the strongest party backing of all the candidates. The NRM hit the Kyaddondo constituency running long before Sebalu’s opponents had sleeved their potentials around. NRM secretary-general Justine Kasule-Lumumba and party treasurer Rose Namayanja have been scouring villages for votes and reconciled rival factions. During the 2016 polls, three NRM leaning independents contested, leaving the party to share votes for its cadres. Majority of the NRM district leadership backed Stella Njuba, whose 4,000 votes proved too short a gamble and the party officials regretfully believe most of the votes would have made the difference for Sebalu, who lost by just 326 votes. Lumumba got Hajji Sulaiman Walusimbi, who led the Njuba camp last year, to reconcile with Sebalu for the good of the party. Although the Njuba faction is still a big festering in Sebalu’s chances, Walusimbi’s pledge to mobilise support for the flag bearer has had its impact. 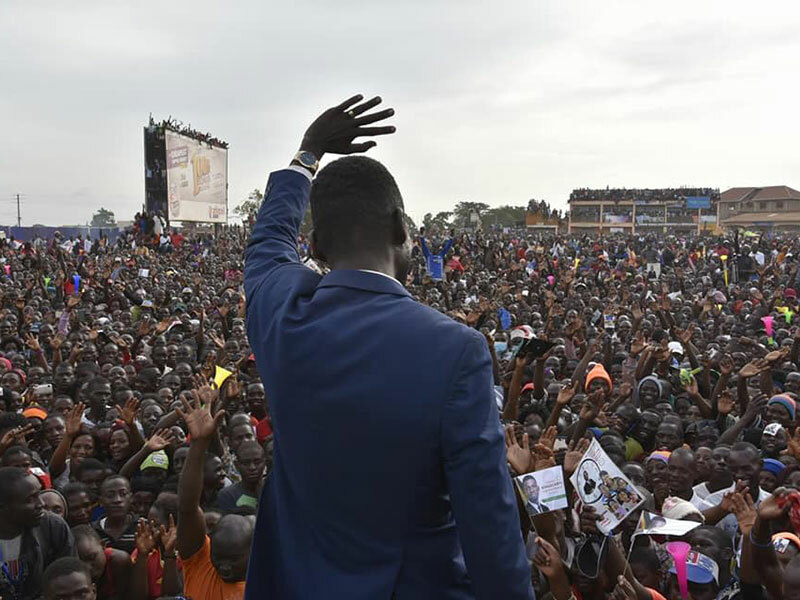 Although Sebalu’s biggest rival for the seat, Bobi Wine, has been attracting big crowds throughout their rallies, history has proven over and again that crowds is one thing, a vote another. Bobi Wine is a celebrity followed by many like egrets follow cows. But just like egrets don’t return with the cows to the kraal, majority of those that make up his crowd will not make it polling booths. This is why the Elect-Sebalu Tastforce remains unfazed. To Sebalu, Bobi Wine has just done enough damage to FDC than the Njuba faction did to Sebalu in February last year. 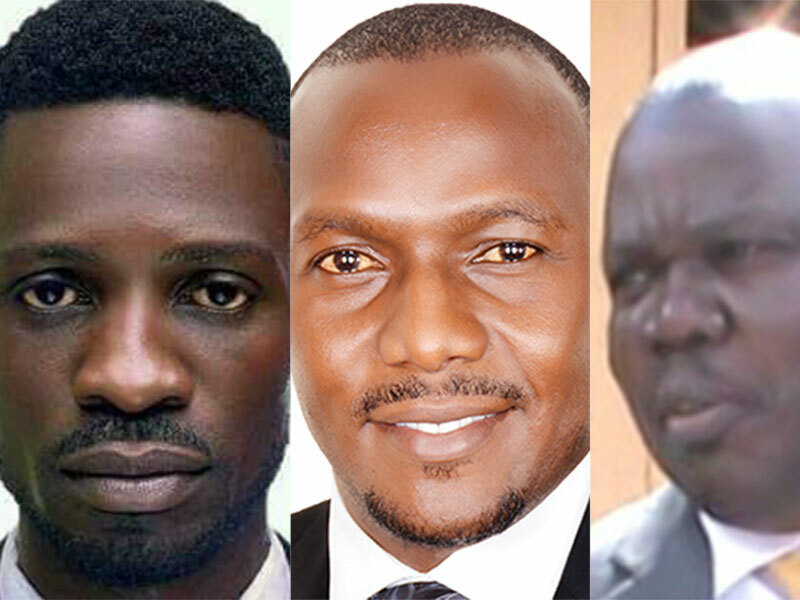 Social media has been awash with FDC leaders conflicting over where to show their allegiance between a rousing Bobi Wine and a rather glum Kantinti. This is a good score for Sebalu. To make things even better, the NRM have won the last five consecutive parliamentary by-elections. In Kamuli Municipality, Rebecca Watongola trounced Salaamu Musumba, in Jinja, Moses Walyomu won Kagoma County, in Katakwi, Joseph Andrew Koluo took Toroma County, and in Upper Madi-Okollo, Isaac Etuke won, while Stella Atyang sailed through unopposed in Moroto. FDC’s Lucy Aciro provided one of the few stains in the yellow colour by winning Aruu North constituency. This trend only reinforces belief that Sebalu is already idling around the steps of Parliament, at least with one foot. With the hindsight that in most African elections voting starts a day or two before the polls open, I am more than convinced that Sebalu has it in the bag. I am not suggesting that NRM will rig, but to rule out that possibility is like to assume a cat can scare away a burglar. Museveni will do everything to win a pepper election just to prove to the doubters than he is in control of not only the country but also the so-called opposition stronghold of Kampala. Apollo Kantinti is the incumbent. He did not fluke that, he won in an opposition stronghold, the home of his party icon Dr Kizza Besigye. The arguments that Kantinti only won by 326 votes in February 2016 because his nearest rival was rowing a leaking political boat during electioneering will always be an excuse. And if this by-election was a test of his credentials, Kantinti would still do it again. And he will. Incumbency comes with some cushion of advantage. And being the official FDC flag bearer just adds to the flavour Kantinti enjoys as voters make their choices today. In Kyaddondo East, voters have such high regard for Dr Besigye that they are willing to go the extra mile with him. For this by-election, Besigye made the difficult choice for the party by choosing to tread the blue line with the iconic key symbol in one hand, Kantinti’s hand held firmly in the other. Some voters have expressed disappointment with Kantinti, accusing him of abandoning the constituency after his election. 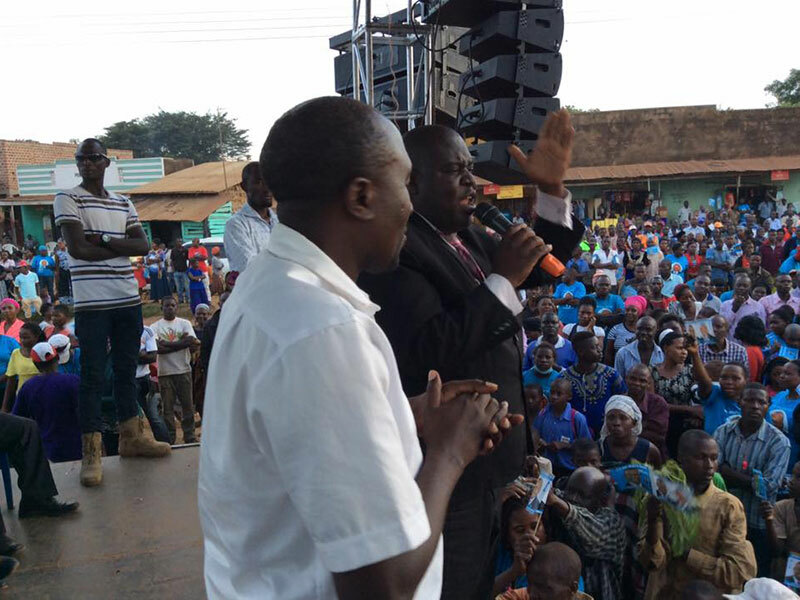 The voters let their grievances known to Besigye, who apologised on Kantinti’s behalf during a rally in Kiteezi. 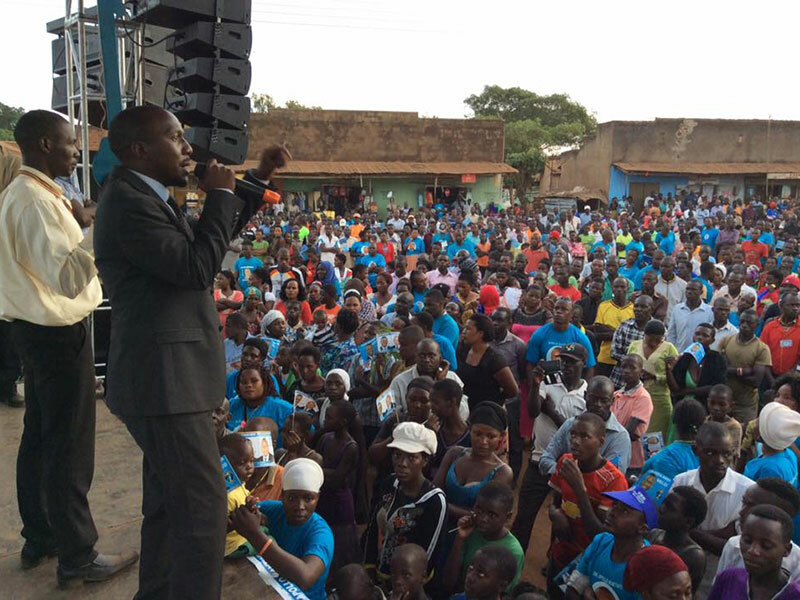 Kantinti himself has explained the situation and given his loyalty to the party is his biggest strength, the loyal opposition voters will recall that in 2010, Kantinti lost to Ibrahim Ssemujju Nganda in the FDC primaries and went on to campaign for him. Such deeds are cherished and rewarded, especially by the conservative voters. Although he got the reward in 2016, voters understand that it wasn’t Kantinti’s fault that court nullified his victory. The court faulted the electoral commission and Kantinti has had a strong right to remind the voters that he has hardly had time to implement the programmes he promised the constituency. 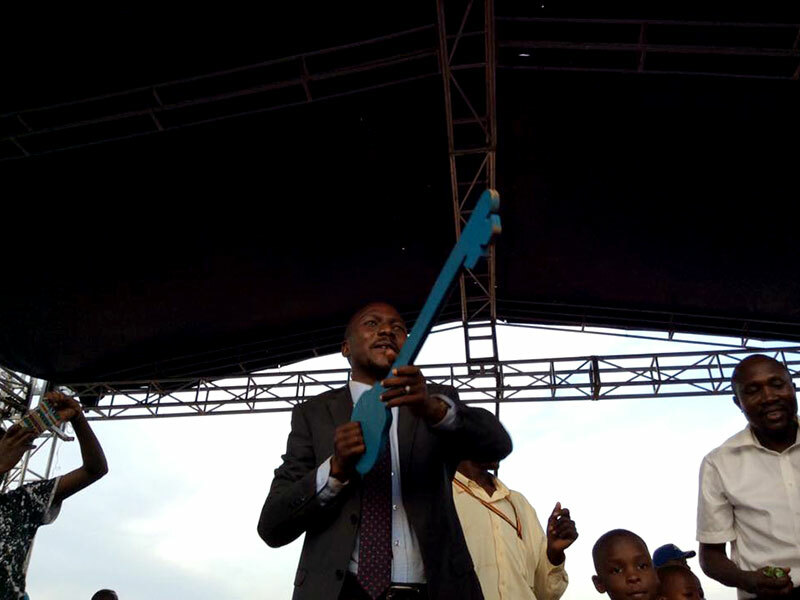 On Tuesday, during the last rally, Besigye’s charms were at its best. FDC top leaders turned up to rally support for Kantinti, leaving no doubt that as many excitedly jump in rival candidate Robert Kyagulanyi, aka Bobi Wine’s procession, they would return home where their loyalty stands at the end of the day. 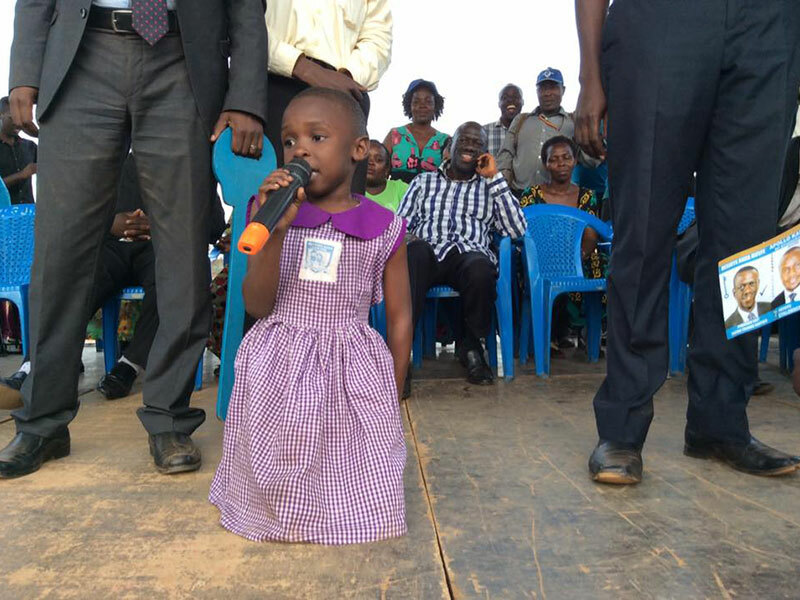 A child leads prayers and calls for God to give Kantinti victory. Some people have tried to write off Kantinti’s chances, citing the crowd independent candidate Bobi Wine was pulling, but they forget one thing: While Police were able to yank Bobi Wine off his pedestal at Kasangati Saza Ground on Tuesday and briefly detain him, Kantinti did not only emerge without any such ‘blemish’ but even helped in the making of history when he fought for a venue against NRM’s Sitenda Sebalu. For the first time in NRM’s political campaign history, top leaders of the ruling party were arrested by Police during their own campaign rally. Not a hiccup this when you note that Special Forces Command soldiers were on the ground to secure the venue for President Museveni’s visit. Kantinti had Sebalu arrested right under Museveni’s nose by a partisan Police force. Sebalu’s arrest on Tuesday has been interpreted by many as a sign that the ruling party has little faith in his ability. This means Kantinti only has to bank on sympathy vote as people genuinely feel for him given the manner he was thrown out.